Today is February 24—i.e., Twin Peaks Day, the first time FBI Special Agent Dale Cooper, tape recorder in hand, first crossed the border into David Lynch’s surreal take on small-town America. People are celebrating the occasion in all sorts of ways—could we interest you in our coverage of the show’s recent Showtime revival, or a few meditations on its ongoing cultural impact, perhaps?—but it’s hard to top series star Kyle MacLachlan, who remains utterly devoted to his apparent lifelong goal of being an adorable dork pretty much all of the time. MacLachlan posted a short video for fans of the series on Instagram today, and, as ever, the real joy is in how much fun he’s clearing having, opening with a quick “Diane” before turning to the camera, twinkle-eyed, and wishing everyone a happy day. 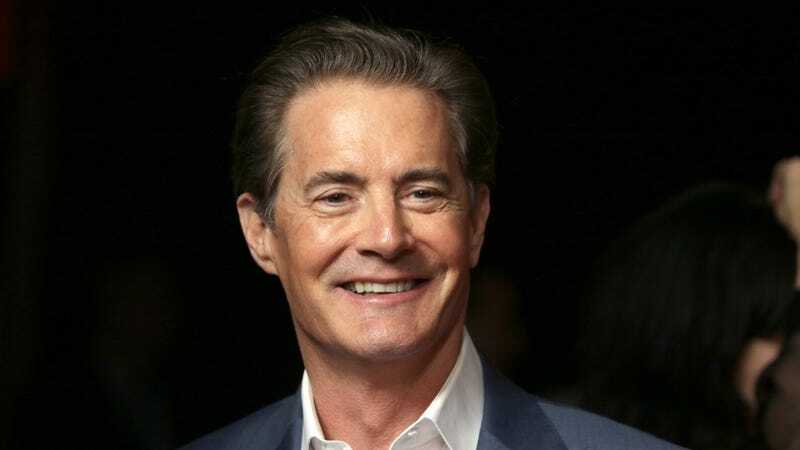 Dale Cooper may be gone—possibly for good—but it’s always nice to know that MacLachlan is out there, keeping his spirit alive.